Discover whether hardwood or wood-look flooring is the better pick for your place with this side-by-side comparison of laminate and hardwood. Whatever your home’s style may be, flooring is quite literally its foundation—and often the first design element visitors notice when they step inside. Luckily for homeowners getting ready to install new flooring, today’s choices are vast. Two flooring options are particularly popular these days, appreciated for both their warm appearance and value-boosting powers: laminate wood and the real McCoy, hardwood. Though they may look similar, each one has its pros and cons. Learn more about these two types of flooring to determine which is best for your home and lifestyle before you make this significant, long-term investment. Laminate floors are engineered to approximate the look of natural materials—wood as well as stone. 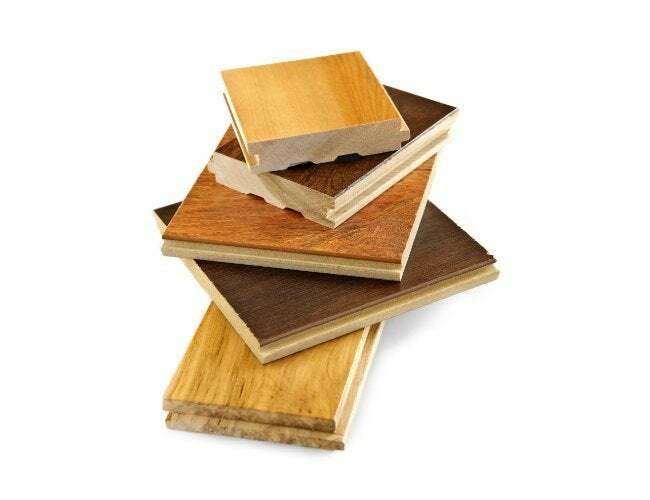 The essential technology dates back to the 1920s, with the development of compressed wood and lamination industries, although early household laminates were used primarily as countertops. 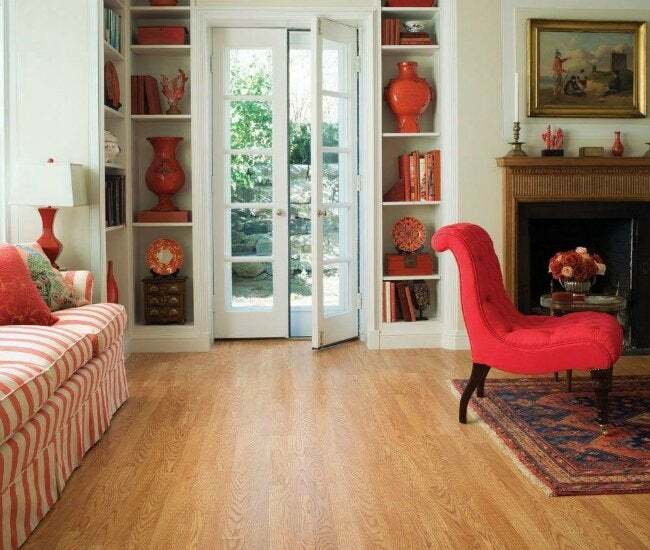 Laminate flooring was introduced in the 1970s and took off thanks to its durability and affordable price point. Versatile and long-lasting, laminate remains a popular flooring option that continues to improve in quality, appearance, and variety. Wood-look laminate flooring boasts UV protection and is resistant to scratches and dents, making it perfect for placement in high-traffic and sun-drenched areas. Today’s laminates can hold their own against their pricier hardwood counterparts. In fact, their appearance has come so far in recent years that it can be hard to distinguish some laminates from their natural inspiration. That said, cost is easily the biggest selling point of laminate flooring—it typically runs half the price of hardwood. Before you spring for the best-priced laminate you can find, however, bear in mind that lower-quality—usually cheaper—laminate often looks less realistic. So, as you’re weighing your options, remember the old adage: You get what you pay for. Laminates do offer a bonus for handy homeowners: While some hardwood floors are being tailored for the DIY market, laminate, which is considered simpler to install, has long been viewed as the go-to DIY option. Once the underlayment and/or vapor barrier has been installed, laminate can be popped into place with (depending on the product) tongue-and-groove or snap-and-lock edges, making it a fairly straightforward weekend project. Laminate is generally simple to maintain, but it’s important to know what not to do. Avoid all detergent-based cleaners, which leave a dull film behind when they dry. Likewise, waxes and abrasives can build up residue and compromise the smoothness of the surface. Instead, in tandem with regular sweeping and vacuuming, use a store-bought laminate cleaner. Position mats at exterior entrances to catch incoming dirt, and always clean up spills quickly to help extend your laminate’s lifespan. Hardwood floors have been bringing natural beauty to interior spaces for centuries. Available in nearly endless textures, colors, and finishes, this flooring option offers an organic ambience absent in many of today’s manufactured materials. Purists swear by its warmth and refinement, and its mere presence can have a positive effect on a home’s resale price. Beloved by interior designers, historians, nature lovers, and anyone who appreciates fine craftsmanship, hardwood flooring imbues a space with an enduring quality, thanks to its long history in home building. Homeowners who swear by hardwood’s character refuse to settle for anything less, particularly when they’re remodeling an older home. But the same organic attributes that lend warmth and character to hardwood can be a turnoff for some—specifically, the way that long-term wear and tear ages wood. 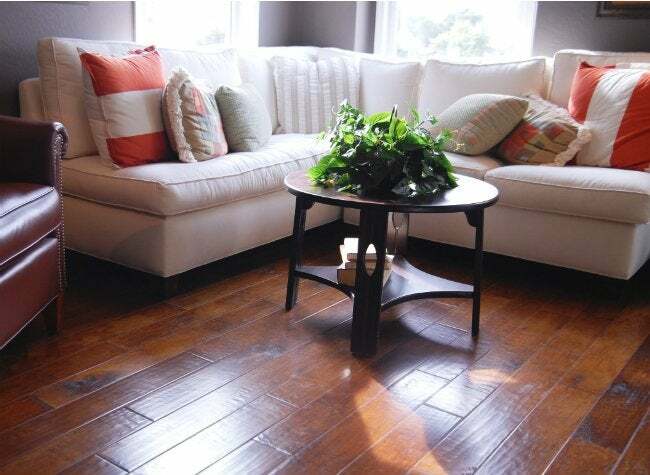 Unlike laminate, hardwood reacts to intense sunlight and is sensitive to high-heeled shoes, pets, kids, and furniture, all of which can dent and scrape the wood. Over time, this translates into a rustic appearance that some admire while others view as shabby or tired. Hardwood also holds appeal for remodelers who are interested in environmental sustainability. In recent decades, the use of reclaimed wood has spiked in popularity, allowing rescued construction materials to be transformed into new structures with a built-in sense of history. As well, the ecologically conscious have the option of purchasing new lumber that has been certified by the Forest Stewardship Council (FSC), ensuring that the wood has been harvested in an environmentally responsible manner. Keeping hardwood floors from aging faster than the rest of the house requires a little TLC, including regular sweeping and using both an all-purpose, no-wax wood cleaner and a restoring agent appropriate for the floor’s finish. A wax finish can be revived with additional wax, for example, but it’s inadvisable to use wax on varnished or polyurethane-finished wood. Before using any restoring agent, make sure it’s made specifically for your flooring type. Considering hardwood’s sensitivity to sunlight, scratches, dirt, and debris, it’s wise to take extra precautions beyond a regular wipe down. Start by setting out mats and runners near exterior doors to keep dirt and moisture from being tracked onto the floor. Apply protective pads to furniture legs, keep pets’ claws trimmed, and avoid wearing high heels to prevent denting and scratching.